Never Use DRP Repair Shops! Ok, so as far as body repair shops go, especially in the Phoenix area, we are not the favorite child of many insurance companies. This is because we have been telling our customers the truth about DRP’s and how insurance companies operate behind closed doors for years! For example, did you know insurance companies can tell their DRP facilities to use cheap aftermarket parts instead of original new factory parts? We have written a great article titled Difference Between Aftermarket and OEM Parts which will probably shock you. What’s a DRP you ask? Great question. Read the article below and you will find out. My Insurance Company directed me to a few repair shops or DRP’s. Is this the best choice for me? You really think that the insurance company is out to protect your money and have the best repair done on your vehicle? Not Always the truth! Insurance companies use DRP shops ( Google it). It stands for Directed Repair Program. The insurance companies usually send the shops more business, the more they cut corners to save money. The agent or Adjuster will ALWAYS try to argue with you saying, “Well our shops ( DRP Shops) has a lifetime guarantee on all repairs.” So what happens when the SHOP is (A) no longer a DPR shop or (B) out of business? YOU LOSE! G5 customs offer the lifetime guarantee as well and have been in the same location since 1996, but our shop ONLY used NEW OEM dealer parts so they always fit without paint failure peeling etc. To become a DRP shop you must follow the adjuster directions for the repair no matter how incorrect it may be, use old parts, use old moldings, do NOT blend the paint to match the rest of the car, the customer will never know. Can I pick ANY shop to repair my vehicle? 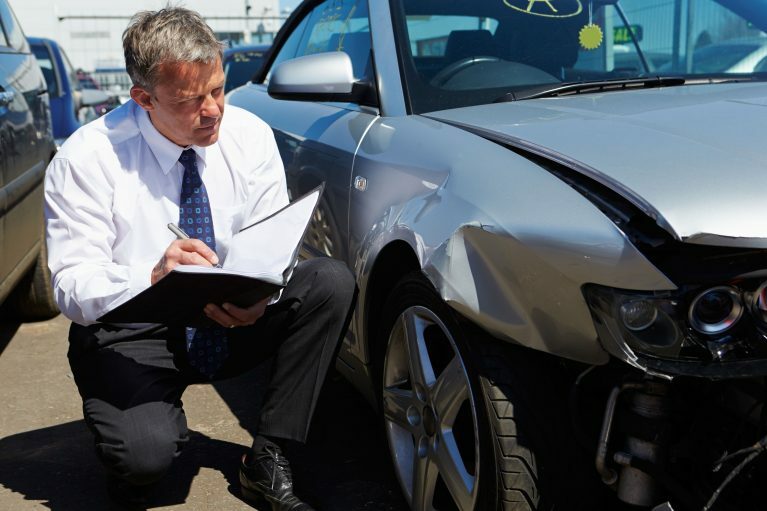 YES, absolutely, it is against the law for an insurance agent or adjuster to force or insist you use one of their DRP shops to repair your vehicle. You can pick any licensed shop to repair your car and the insurance company MUST pay that shop to fix your car to pre-existing damage. It is your car and you have been paying insurance for years. Anytime you use your insurance or even the person who hit you, using their insurance, the insurance company always wants to be in control to save them money. Ultimately you can repair it anywhere you want. You could take your car to the Scottsdale Ferrari dealer and if they agreed to repair your car the insurance company MUST pay. However, the difference between the Ferrari dealers labor shop rate $150 per hour VS what the insurance will pay $48 per hour MUST be paid by you the consumer. Why do repair estimates vary and do I need 3 three estimates? There are multiple auto body repair software programs that a legitimate shop has to prepare and estimate for repairs. A knowledgeable shop owner will actually pull from all of these software configurations as well as experience and write a detailed estimate covering all the procedures to properly repair your car. A DRP shop is usually “delivered” an estimate by the insurance company and MUST follow the estimate with little or NO changes to the repair estimate; and must repair the car in an extremely tight schedule or potentially be removed from the DRP program. Time is money saved or lost in the insurance repair industry. $250 gift card and FREE towing from the accident scene with all comprehensive Insurance claims. Contact G5 Customs today to experience a difference in auto body repair. We will save you the headache, deal with the insurance company and have your car back in as good as original condition.